If you use analytical apps in profitability analysis, you may have wondered if there’s a way to add additional attributes to the app when you want to see further information. Yes, there is! In fact it’s very simple. 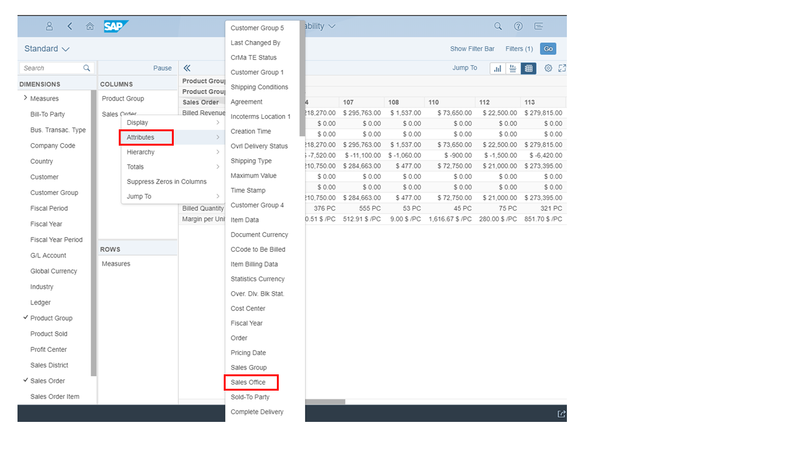 Here’s how: In a SAP Fiori Design Studio app, drag a characteristic to the rows or columns, then use the context menu to add more attributes based on that field. That’s it! The report is immediately updated to show the attributes you added. 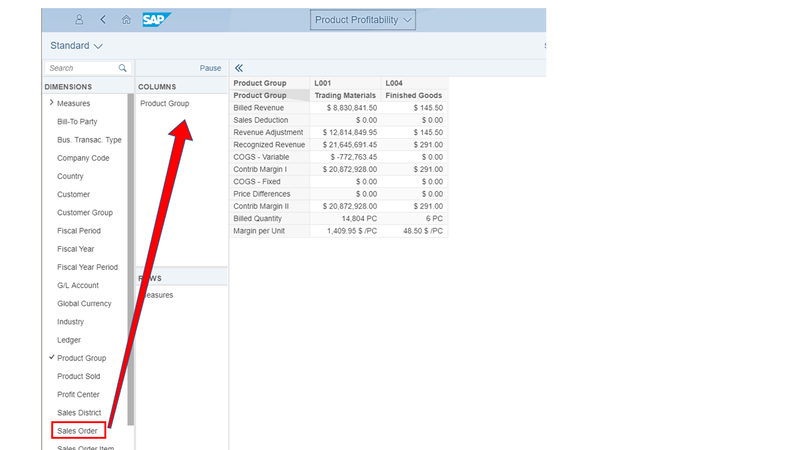 For example, in the Product Profitability app, you can display Sales Office as an additional field. Fields are read in Design Studio apps in real time. Note that you can’t filter on the attributes you add with this method. If you want to filter, see the method described in the blog Data Source Extensions in Profitability Apps. Also note that this method can be used on SAP Fiori Design Studio apps only. In my next blog of this series, I will explain the ‘Data Source Extensions’ in Profitability Apps.